Oxwall is a versatile, cross-platform software program which allows administrators to create social networks, collaboration tools, fan sites, and other community-based projects. And, since it’s completely open source, it’s totally free to use and is extremely customizable to boot. If your company’s website relies on communication in any way, you’ll want to provide a good platform for that communication to take place. Plenty of pre-made platforms do just that, but are somewhat limiting in that you’re stuck with whatever features, design elements, or functions that the developer created. In contrast, the developers of Oxwall tout its flexibility as one of its greatest strengths. Based on PHP and MySQL, Oxwall features multimedia sharing, blogs, forums, wikis, groups, events, friends, multiple languages, and the ability to comment on virtually anything and everything. Some of Oxwall’s administration features include member and content management, content moderation, customizable privacy settings, advertising management, built-in SEO, and detailed statistics. Oxwall also includes a plethora of themes to change the look of your site, as well as an appearance building tool to customize it even further. While its built-in flexibility is impressive enough, Oxwall takes it a step further with its extensibility. If you’d like to exert complete control over your program and tweak every detail to your specifications, Oxwall could be a good option for you. Oxwall is designed to be extended and modified via plugins. Its developers have created an extensive library of plugins which can perform any number of cosmetic or functional tasks. Some of these are developed by in-house developers, while others are third-party. In-house or third-party, you can find the plugins in the Oxwall Store. Many of them are completely free, while others are available commercially. The wealth of available plugins means that you can completely alter how your website looks and functions with a few clicks of the mouse. One of the reasons there are so many plugins available is the ease with which a developer can create them. The Oxwall developers designed it so that the core code is easily accessible and well-structured. In combination with developer and style guides, code repositories, examples, and extensive documentation, this gives developers the freedom to add functionality without compromising core elements. If Oxwall doesn’t do what you need, and there are no adequate plugins, you can easily create your own. Who's Best for Oxwall Hosting? We think SiteGround is the best choice for Oxwall. “Keep It Simple Stupid” (KISS) is advice good developers live by. In spite of the functionality Oxwall provides, it’s obvious the developers have taken this advice to heart. Utter simplicity is the other hallmark trait that is evident throughout Oxwall’s design. Because of its flexibility, Oxwall is ideal for a wide array of possible uses. Custom social networks, family websites, enterprise collaboration tools, and developer communities are just a few of the scenarios Oxwall is used for. Because Oxwall is open source, it is free to use for any purpose, including commercial use. Similarly, many of the available plugins are also free. However, because some plugins are commercial, you may need to spend money to add the specific functionality you need. If such a plugin doesn’t already exist, and you don’t have the necessary development skills to create it, you may have to pay a developer to get the functionality you want. 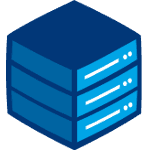 Oxwall can be installed on Linux, UNIX, and Windows servers running at least Apache 2, PHP 5.2.6, and MySQL 5.0. Additional customization may require custom development. If you’re looking for an incredibly powerful, open source platform that is geared toward social interaction, Oxwall should be high on your list of possible solutions. Its extensible nature, ease of development, vibrant community, and wide range of available plugins at little or no cost make it an appealing choice. If Oxwall sounds like something you might be interested in, simply check to make sure your Web hosting provider supports Oxwall software before purchasing a hosting plan. All you have to do is research what other features you’re looking for in a hosting plan besides Oxwall support, compare the plans of some of your preferred hosting providers, and make an educated decision from there. Oxwall is a collaboration platform which enables users to quickly create various community-based projects, such as fan sites, small social networks, collaboration tools, and various other community sites. Why should I pick Oxwall? Oxwall’s popularity is usually attributed to ease of use, flexibility, and the ability to customize it to meet a lot of different needs. However, downsides include the fact that most Oxwall websites are built with a few premium plugins for additional functionality and the fact that you have to make a donation to have the “powered by” notice removed from the footer. How does Oxwall compare to Elgg? While Elgg was more popular in the past, in recent years Oxwall has become a strong competitor and many developers are choosing it over Elgg. Flexibility and ease of use are the most frequently cited reasons for Oxwall’s rise in popularity. However, Elgg still has a bigger total user base. It’s been around a bit longer and, unlike Oxwall, you can build an Elgg site without relying on premium plugins or paying the developer to remove a “powered by” notice. The hosting requirements are similar, so they probably won’t be a deciding factor. Is Oxwall SEO good right out of the box? Oxwall comes with a number of useful SEO features out of the box and collects a lot of useful statistics. It can be made even better with the addition of a few plugins, some of which are free while others are commercial. These plugins can be used to further enhance Oxwall SEO by optimizing load time, making URLs search friendly, and more. How much does Oxwall cost? Since Oxwall is open-source software, published under the Common Public Attribution License, you will not have to pay to use Oxwall. However, if you plan to use some commercial add-ons (called plugins), and most Oxwall sites do, you will have to pay for them. Also, if you need to remove the “Powered By Oxwall” link in the footer, you will have to make a donation to the developer. In other words, while the core Oxwall software is free, you might be looking at some expenses for additional features and customizations. What can I create with Oxwall? One of Oxwall’s best features is the level of extensibility and customization available to any user. Oxwall can be used to create blogs, forums, groups, wikis, — and all this can be done in multiple languages. Oxwall also features a lot of different themes and an appearance tweaking tool that should help you customize the aesthetics. Numerous Oxwall plugins are available as well. The Oxwall community offers a large plugin library, including lots of plugins created by the official Oxwall developer (Skalfa LLC) and third party developers. Most of these plugins are free, but there are a lot of commercial plugins as well. The sheer number of plugins means that you can completely alter Oxwall’s appearance and functionality. To give you an idea of what’s available, with the most popular plugins you can add a live chat feature, allow users to create polls, add include video conferencing to your site, fundraise, and more. Can I hire a developer to create a custom Oxwall plugin or code one myself? Oxwall’s core code is well structured and easily accessible, allowing third-party developers to easily create their own plugins without having to mess around with the core. This means plugins can be easily developed and tested. The fact that you don’t have to alter the core code to create something new adds to its flexibility, as developing custom sites does not entail any changes to the core code, which may compromise stability and compatibility. How do I install Oxwall? Oxwall is available as a one-click installation by many hosts since it was added to the Softaculous software collection in 2011. Installing Oxwall manually is straightforward and well document as well, so you should have no trouble installing it as long as your server meets the requirements. What are the Oxwall hosting requirements? Oxwall is written in PHP and relies on MySQL. You will need PHP 5.3 or higher, Apache 2 or higher, and MySQL 5.0 or higher. Most of these requirements will be met by any hosting plan, even low-cost hosting plans. How much disk space do I need for an Oxwall website? It all depends on the size of your network and the comprehensiveness of the design and content hosted on the site. Obviously, if you are going for a minimal design with few users, you won’t need a lot in the way of storage. However, if you expect your users to share a lot of files (amateur photography, some business niches), it might be a good idea to look for a hosting plan with a lot of storage and bandwidth. Where can I find Oxwall documentation? You should have no trouble finding all the documentation you need. Simply head to the official Oxwall website and look for the link to the DOCS. Oxwall is well documented and relies on a community of third-party developers for a lot of plugins and additional tools. You should be able to find code repositories, extensive documentation, examples, guides, and much more.